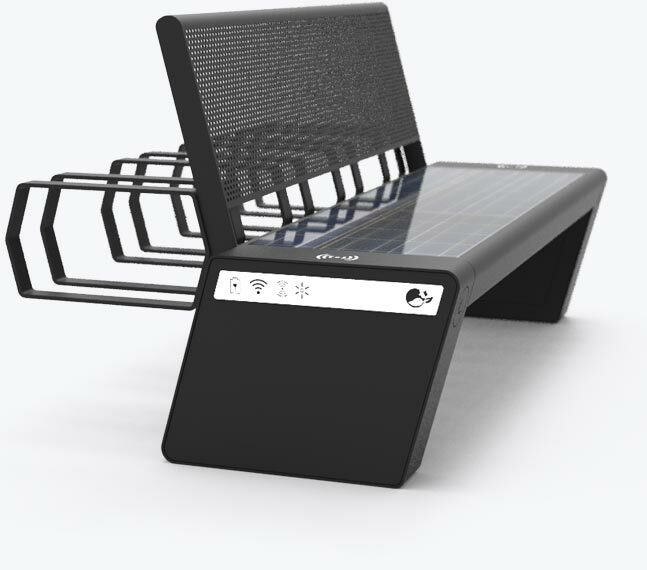 During the VivaTech trade show in France – devoted to innovations and the latest technologies – on 24-26 May, SEEDiA presented its technological solutions, offering eco-friendly urban furniture powered by solar energy. Viva Technology Paris is an international platform connecting startups and technology companies from around the world. It is one of the largest trade show devoted to the development of startups, technologies and innovations in the World. Seedia was represented by its CEO – Piotr Hołubowicz, who gave an interview for Spider’s Web. Its content is posted below. Seedia is already talking with representatives of cities from the United States to Israel. The most important for them is sharing data and coherence of the modernization strategy – with which Polish cities still have problems. A trash that informs the responsible services when it is full. All of them are connected in a single management system that allows the use of predictive analytics and management of sent messages. All products sell like hot cakes – after holidays, there should be 130 of them in Poland. During Viva Tech in Paris, I had the opportunity to talk to the head of the project – Piotr Hołubowicz. Karol Kopańko, Spider’s Web: We talked a year ago, when you received PLN 1 million for development from bValue. What has changed during this time? Piotr Hołubowicz, SEEDiA co-founder and CEO: The last year for us are our investment in research and development of the client panel. We now have a fleet management system that collects telemetry data from all of our devices. bench, which is very important in the context of sales in different geographical latitudes. However, I guess, that the bench located in the center can collect much more data. Exactly. For cities it is a big chance to strengthen the bonds with their residents, because both the bench and the stop are furniture that can “speak”. The bench can inform about important events in the area by sending information to smartphones, and the bus shelter displays information about bus lateness on the screen from e-paper. Is it important for cities? It seems as important as collecting data and sharing it. In Poland, representatives of cities do not have such an attitude. Warsaw does not share its data, just like Wrocław does. When we were talking overseas, the first question on which further discussion depended was: “will we be able to upload our data into the general system”. How are products such as benches accepted in the US? 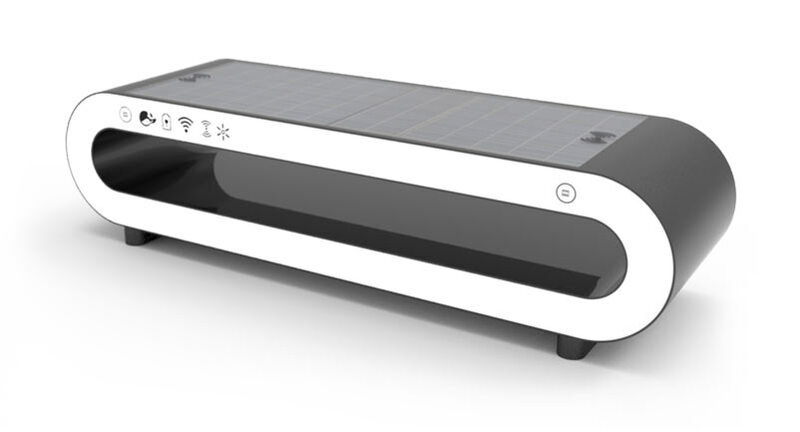 Americans understand solar-powered products much better. In Los Angeles, half of the city’s products are powered by the sun – from parking machines to traffic lights. Polish cities do not have a modernization strategy. We have a lot of technology here – one is modern and the other outdated. One city bike is the producer, the other is a bike. There is a lack of integration that would allow you to optimize your resources. And yet cities have a place in the budgets for innovation, since your benches are selling. This is partly thanks to cooperation with Orange, which sells benches in the installment plan. Cities do not have one large payment, and they can spread it over time. Orange also provides a connection of benches thanks to its infrastructure. Our benches do not have any cables – not only the internet, but also power supply. The whole is loaded from the Sun. Are not you afraid that the Chinese will jump out with the same project? I will surprise you. Such benches are already in China, but they do not have so many functions and such a refined management panel. We are doing a more advanced product. What exactly is so advanced? We are the first company in the world that offers a full ecosystem of urban furniture. Of course, such technologies as e-paper or photovoltaic panels are no news, but combining them into a working whole was a challenge. How much did Seedia’s development cost from the very beginning? Just over one and a half million zlotys. I expected at least a few million … Do you bring profits? It’s not the time yet. Foreign expansion is ultimately very expensive. We are at the stage of collecting another round of investment, which will allow us to develop abroad and build warehouse stocks to quickly serve our clients. Further research is still important for us because it is thanks to them that our products are unique and we will allocate some of them to them. 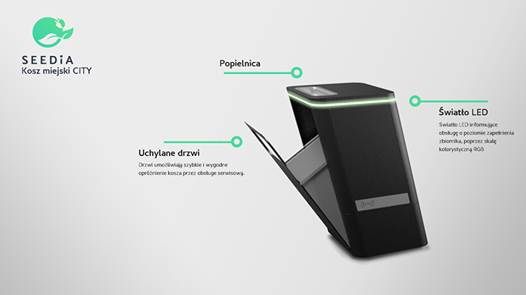 Ostrów Wielkopolski with the premiere of SEEDiA Future Kiosk! SEEDiA and Chopin in Athens! A new implementation in Szamotuły!